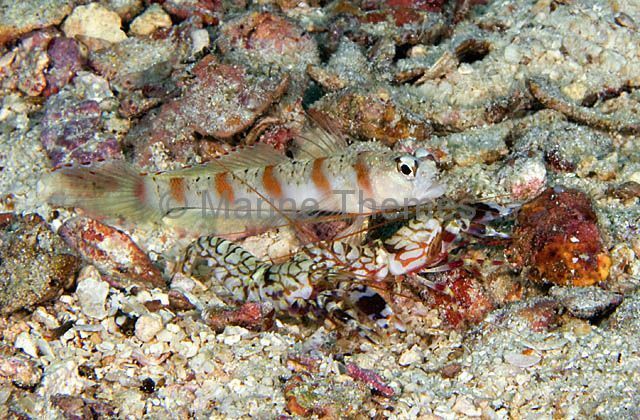 Barred Shrimp Goby (Amblyeleotris fasciata) with commensal Djibouti Snapping Shrimp (Alpheus djiboutensis) outside their burrow. 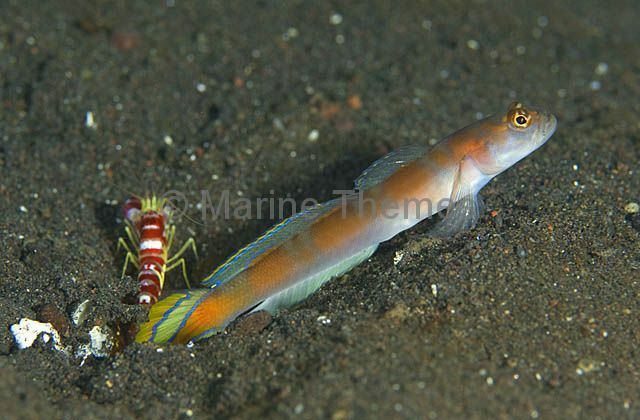 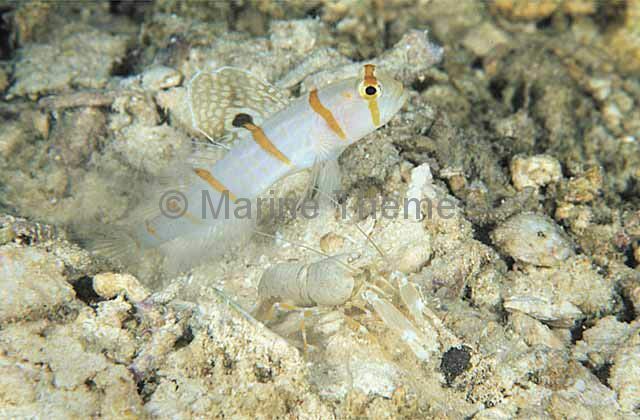 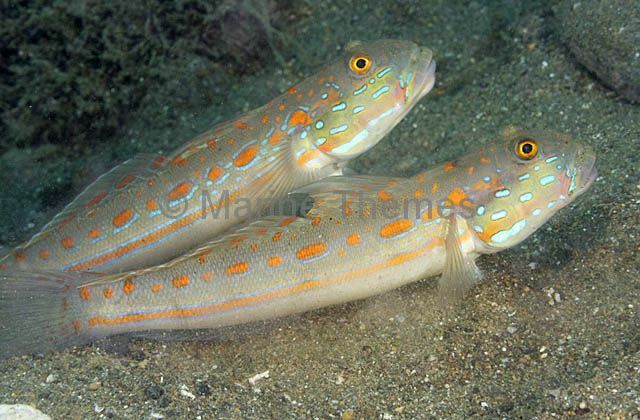 Shrimp Goby (Cryptocentrus maudae) with Alpheid shrimp. 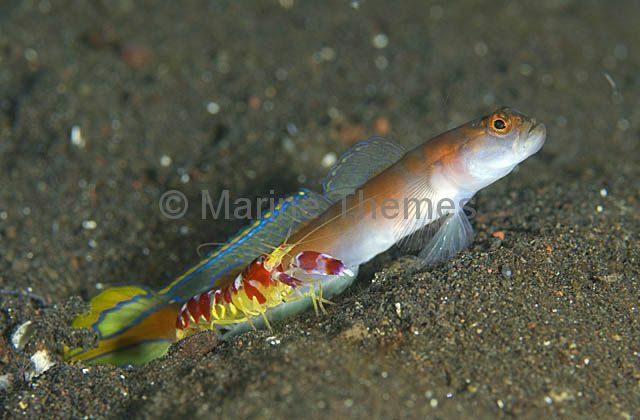 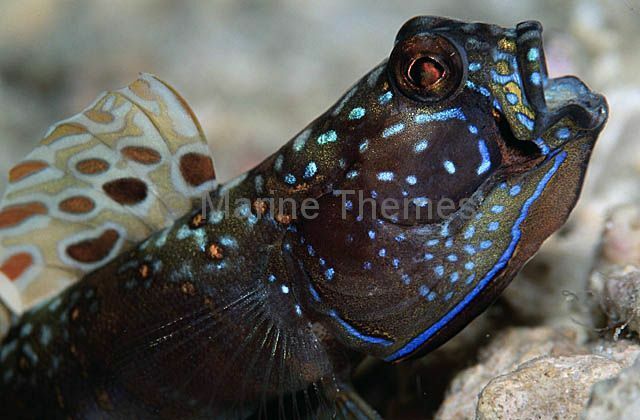 Side-spot Shrimp Goby (Amblyeleotris latifasciata) Male with extended dorsal fin. 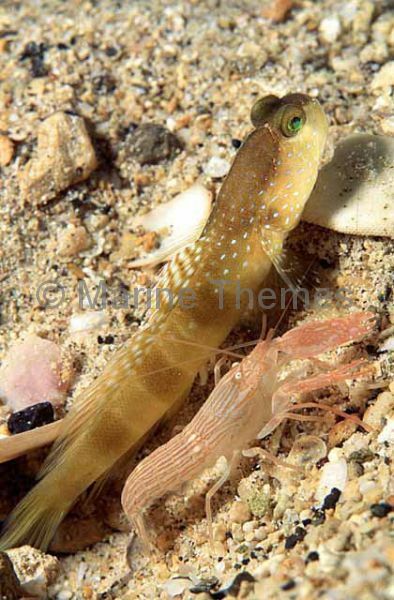 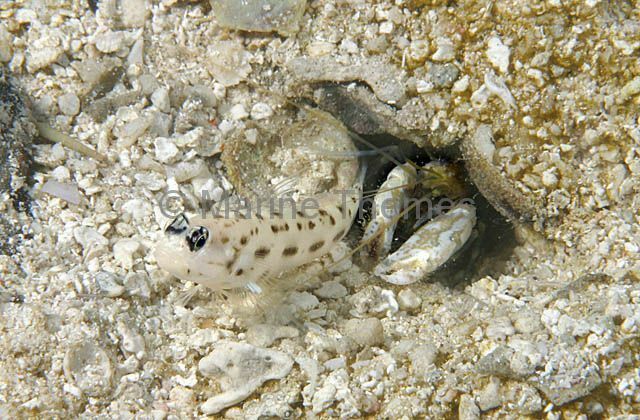 Side-spot Shrimp Goby (Amblyeleotris latifasciata) emerging from it's burrow excavated by commensal shrimp. 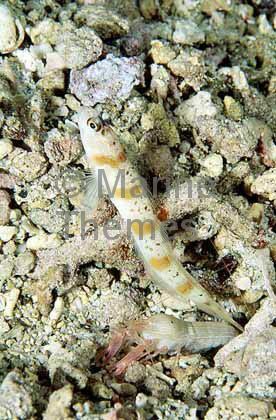 Goldspecked Shrimp Goby (Ctenogobiops pomastictus) keeping a lookout while the commensal Snapping Shrimp (Alpheus djiboutensis) cleans sand out of their burrow. 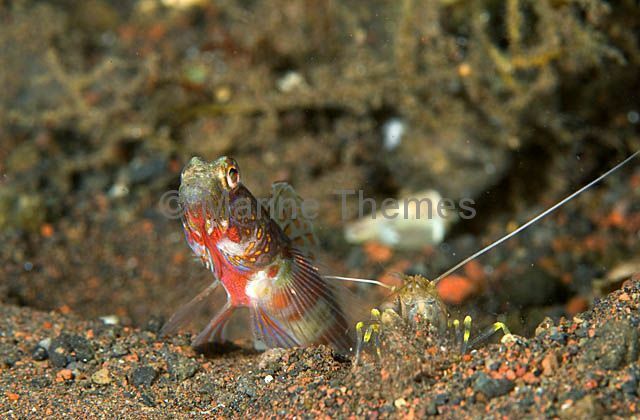 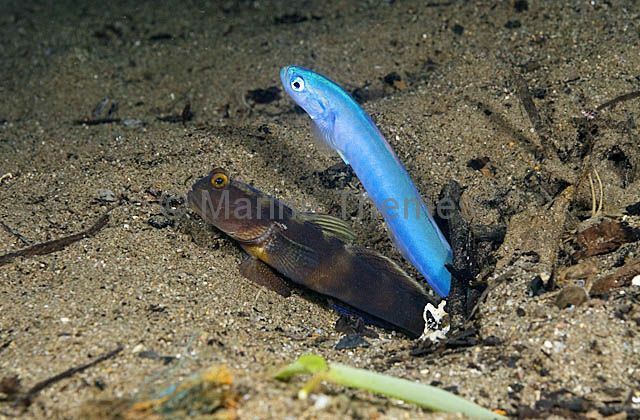 Y-bar Shrimp Goby (Cryptocentrus fasciatus) with a bluje Blacktail Goby (Ptereleotris heteroptera) sharing it's burrow. 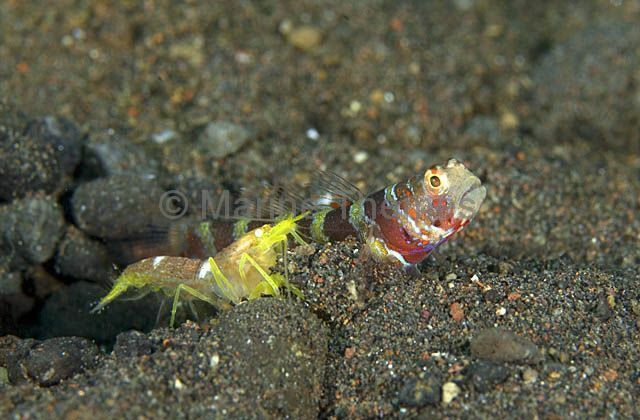 Flagtail Shrimpgoby (Amblyeleotris yanoi) with Randall's Snapping Shrimp (Alpheus randalli) at the entrance of their shared burrow. 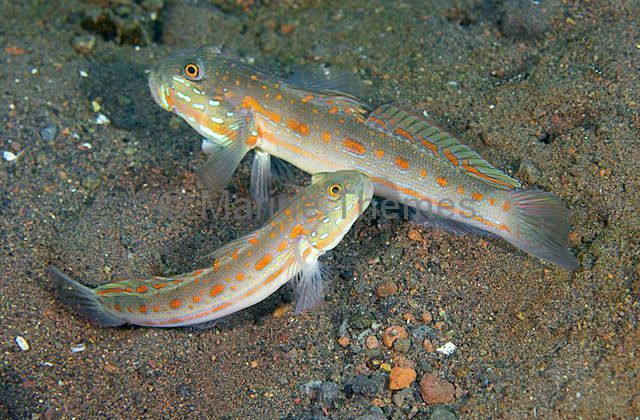 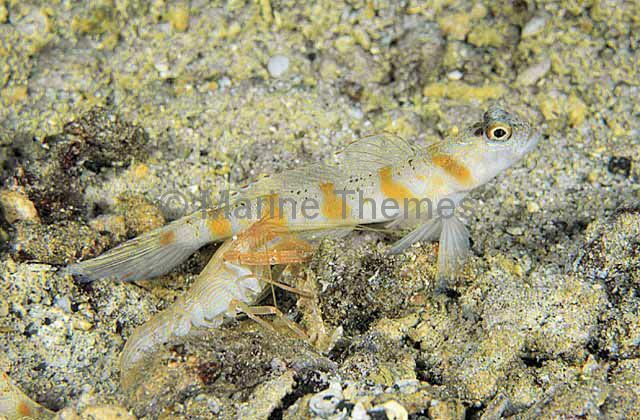 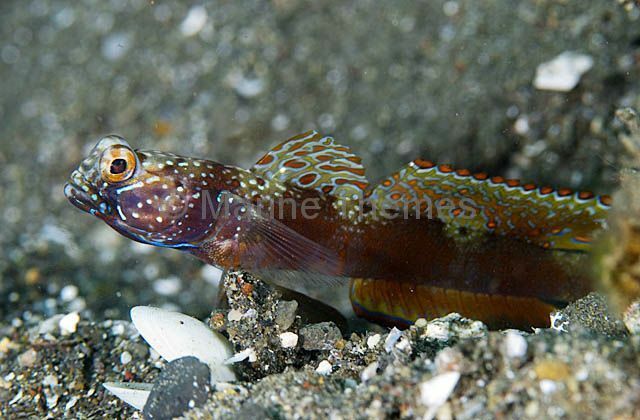 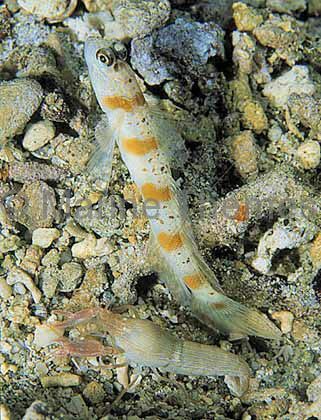 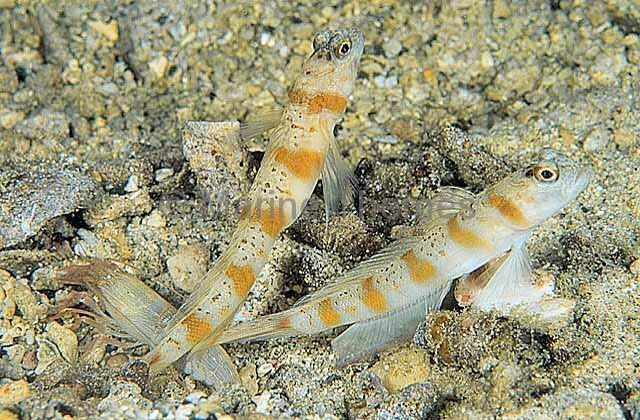 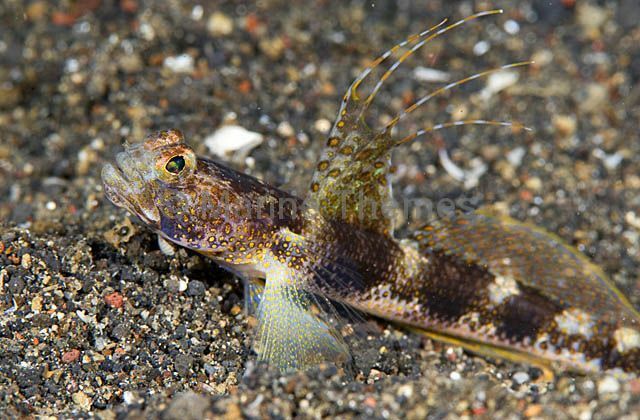 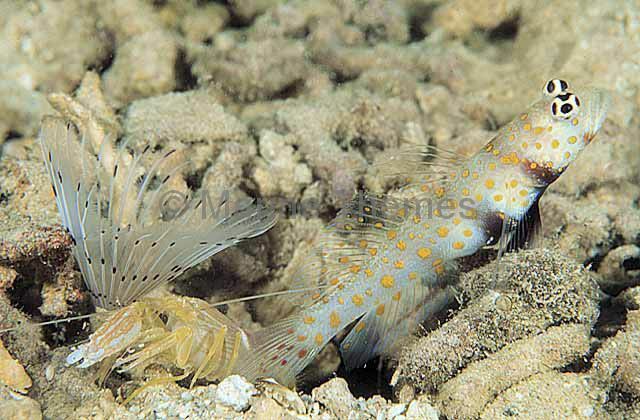 Freckled Shrimpgoby (Amblyeleotris sp.) 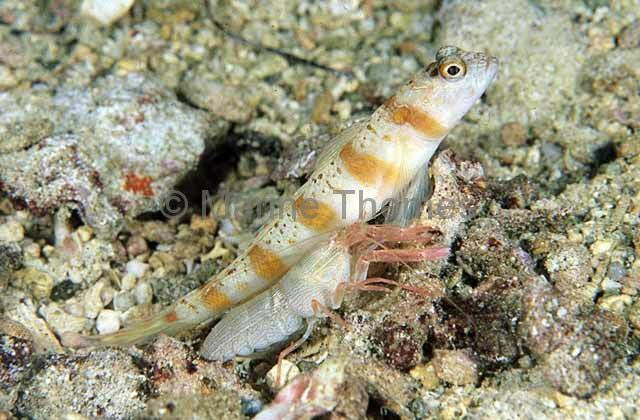 with blind commensal shrimp which digs a common burrow in the sea bed while the shrimpgoby keeps a lookout for predators.